((The price includes setup and breakdown)). This tall vinyl structure will wow your guests with a 15 foot tall center and 600 square feet area of usable space and is the perfect tent for any occasion, from backyard barbecues to corporate events and weddings. This fire retardant vinyl-top tent is very solid with a wind rating to support up to 70MPH winds. 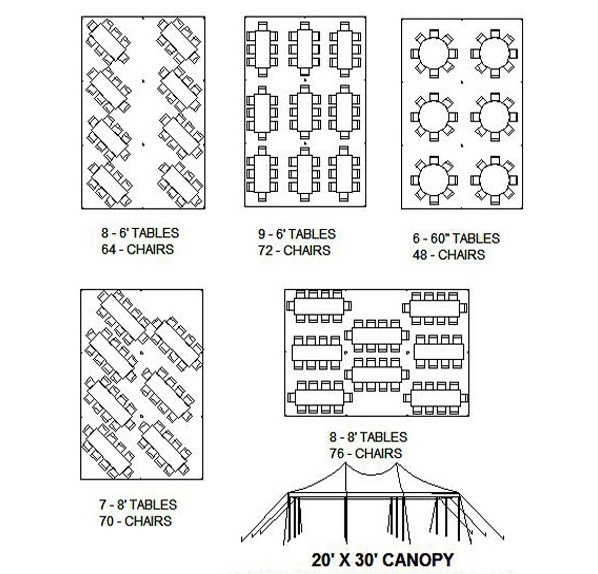 The leg height is 8ft and a center height of 14-16ft giving the tall vaulted ceiling a more spacious feel within the tent. If the tent is to be setup on concrete, the standard stake anchoring will not work and water barrels will be needed to weigh down the tent. 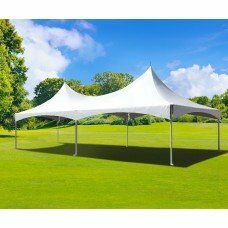 For this tent size you would need a quantity of 3 would to be added under "Barrel Anchoring Per 10 Feet" at the bottom of the page "Tents and Shade page".